A recent expose in Private Eye concluded that "Hackney Council has succeeded in destroying some decent Georgian houses, and driving a number of businesses and residents out of the area while losing large sums of public money at the same time. Brilliant!" Could such scandalous allegations possibly be true? 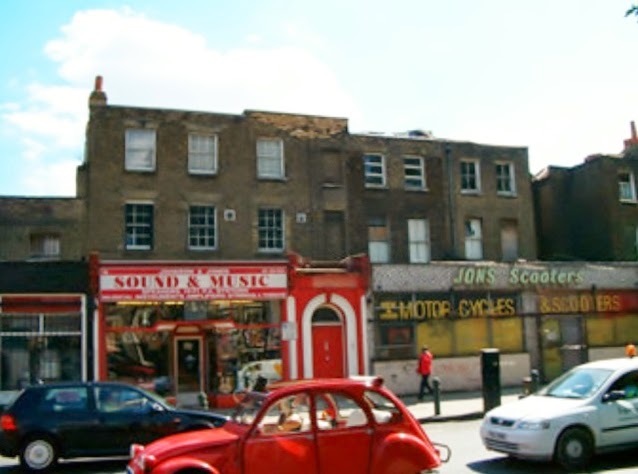 There is also no doubt that family businesses have been driven out of the area - when Hackney first owned the houses there were 17 small independent businesses in occupation, some with families living over the shop, but now there are just two. Take a few minutes to watch the film "The story of Dalston Lane" - it's all there. But has Hackney, as Private Eye alleged, also been "losing large sums of public money at the same time"? If such a serious charge were true it would be a further damning indictment, not only of Hackney's competence but of its politicians' reputations. The sorry tale of Dalston Terrace in fact, for Hackney, began happily. It had inherited the houses free of charge, when Ken Livingstone's GLC was abolished by Margaret Thatcher in 1982. Sadly for local residents, it's been all downhill ever since. Between 1984 and 2002 Hackney simply boarded up 11 of the houses when they became vacant and let them deteriorate. In today's money, that's a loss of rent of £175K a year and of the income to maintain them. In 2002 Hackney had a £70million budget crises ( Hackney's municipal follies of Clissold Leisure Centre and The Ocean had lost about £70m. Ed.). So it decided to have a fire sale of the family silver. 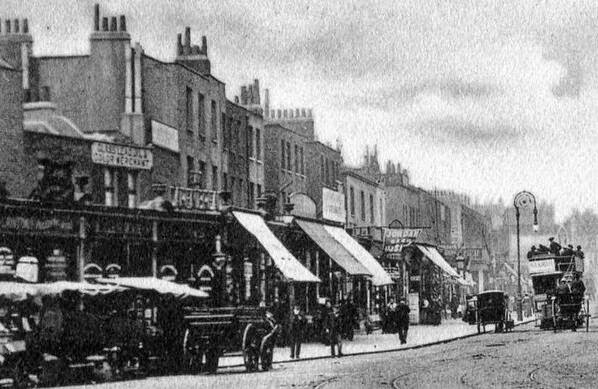 It flooded the market with its 'surplus properties', including the Georgian and Victorian houses of Broadway Market and Dalston Lane. The Audit Commission concluded overall that "best consideration could not be demonstrated in all cases during the sales process". The undervalued sales had projected losses totalling between £9m and potentially £22m. 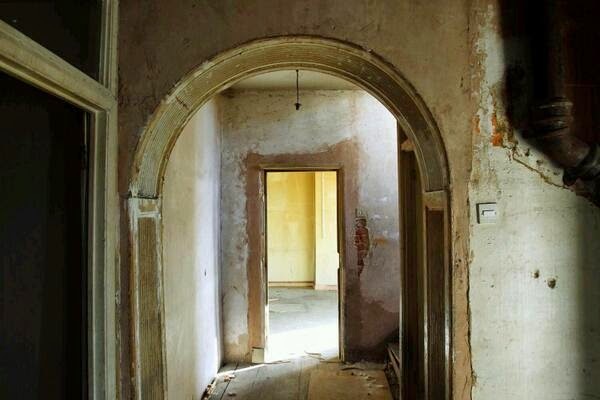 The 17 Georgian houses of Dalston Terrace were sold for £1.8m, at auction as one lot, to an off-shore company. 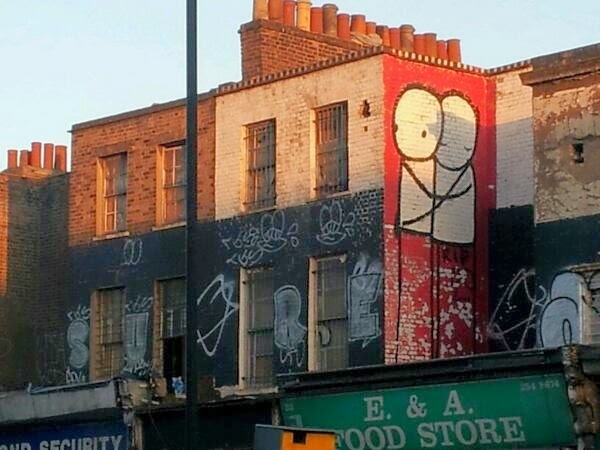 There was only one bidder, because Hackney refused to consider its own tenants' offers. "But wait", Hackney's top politicians tell us, "those were the bad old days of Labour in-fighting", before the shiny new centralised administration ruled by a directly elected Mayor and his Cabinet. So when the Dalston houses started burning down, and local businesses were being evicted, OPEN members petitioned Mayor Jules Pipe ( Read "Save our Shops". Ed). In response, in 2006, Hackney announced a conservation led scheme for the houses and adopted policies to protect them. "We're keen conservation areas are used to bring buildings back into use and create improvements to the built environment." Hackney's Cllr Nicholson announced. But sometimes actions speak louder than words. After failing to buttress the 3 fire damaged houses, Hackney spent £400K demolishing them in 2007 - just what the off-shore owner wanted! Eventually however Hackney bought everything back from the off-shore company, in March 2010, for £3.8m - more than double what it had originally sold them for. Hackney had originally been gifted 17 Georgian houses for free but, after the sale and buy-back, it was now £2.3m in the red, on top of £000,000Ks in lost rents. How would Hackney get our money back?. Hackney didn't offer the houses to its remaining tenants, although it had a policy to do so. ( Hackney were advised that tenants will usually pay over market rate, because their homes and businesses are at stake. Ed). Neither did it advertise the seventeen houses for individual sale on conditions for refurbishment. No, Hackney wanted a grand municipal project for the whole terrace. To make it attractive to a developer, Hackney designed a scheme which involved demolishing all the ground floor walls of the houses ( to create 'open plan' shops) and loading the fragile structures with 44 new flats. It calls it a "genuine conservation-led scheme". (In fact its a #mimby scheme Ed.). Hackney took years to put the scheme together. It advertised the development agreement in the little known Official Journal of the European Union and got two bids. In September 2012 it accepted Murphy's offer to pay £2.4m to build the scheme, lease the shops back to Hackney to rent, and sell the flats. 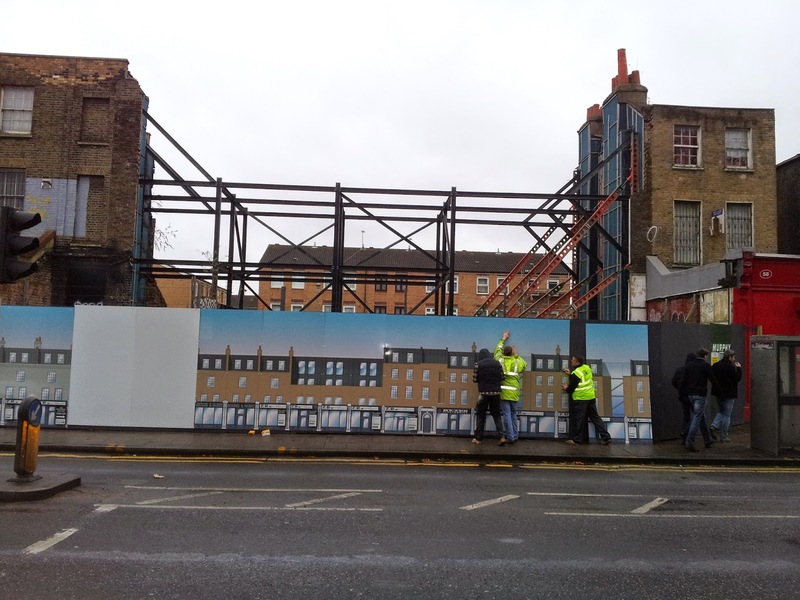 (Where else in Dalston town centre could you buy a site to build 44 flats for £2.4m - except from Hackney Council. Ed.) Architects estimate that, after the cost of buying and building the scheme, Murphy could make in excess of £8m from the sale of the flats. Unsurprisingly Hackney's scheme was so badly designed that, Murphy said "after closer inspection", it cannot be built without demolishing everything first (Read "Was there a cover up " Ed.). So Hackney, in the face of vociferous objections from local and national societies, granted Murphy planning permission for total demolition (Read "One man. Two votes" Ed.). Plus Hackney says that because the new build "heritage likeness" scheme is so expensive, Murphy needn't provide any affordable housing. If Hackney Labour was "genuine" about its 2014 Manifesto claims to “protect the borough's built heritage” its Mayor would at least meet with the Spitalfields Trust to discuss their proposal to faithfully restore the 1807 houses and develop 24 affordable housing association homes. 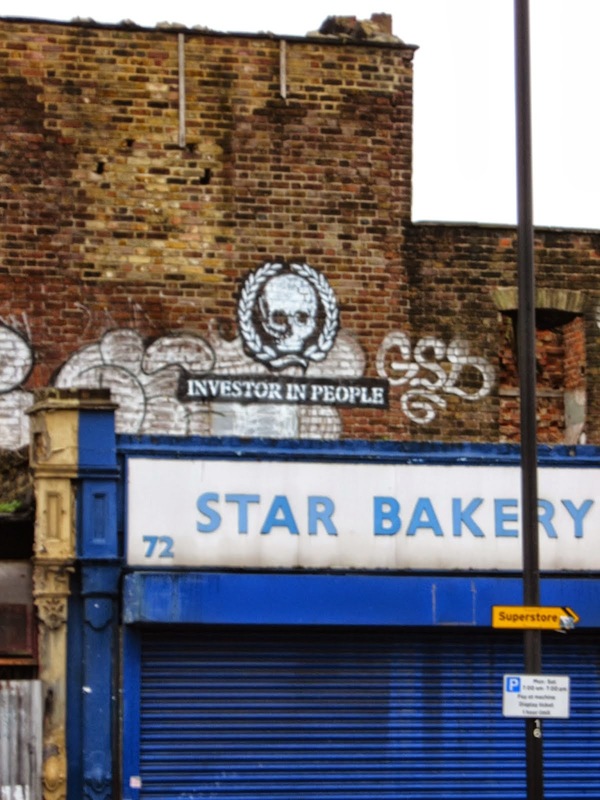 ( Read "Hackney refuses Spitalfields Trust's offer" Ed.) Their scheme will not make £millions for Hackney, or the Spitalfields Trust which is a charity, but the public benefit is obvious.